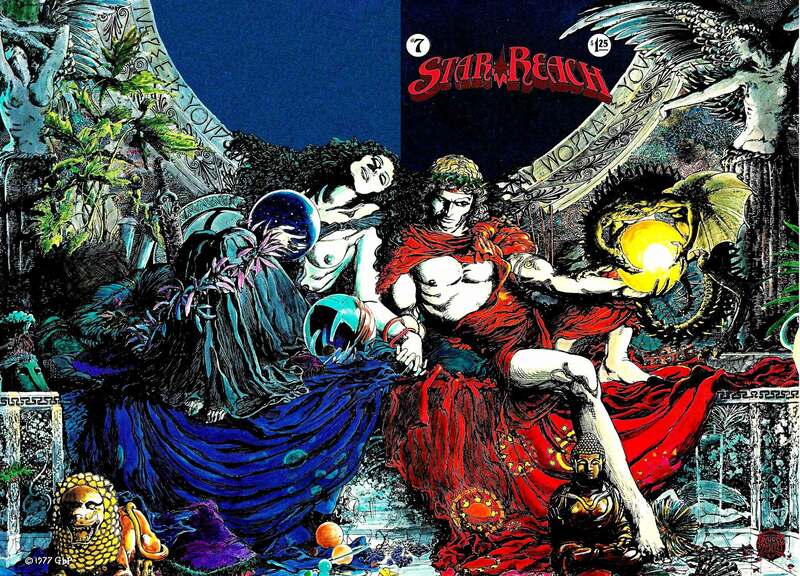 Man, BWS really slaved over that image, back in the day. That’s a “rough”? And BWS produced at least five of them? Whew! Anyone know if the print was ever published? 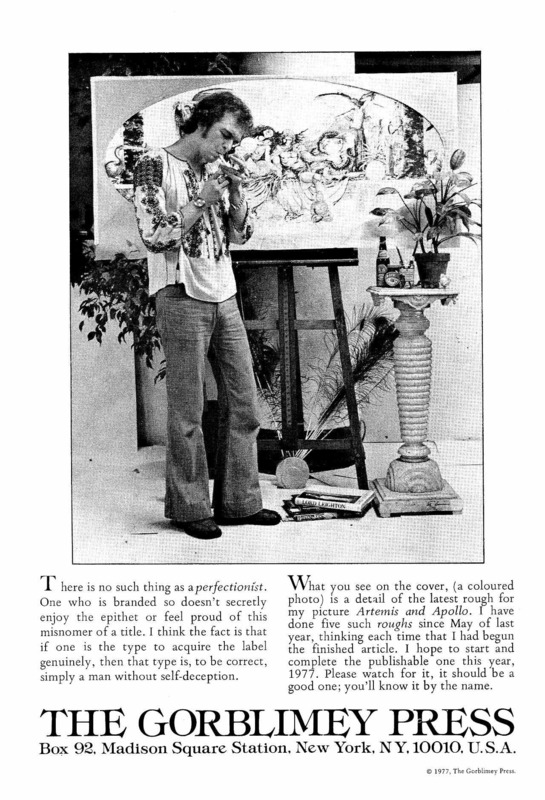 Everything about that image of BWS seems to me to have been self-consciously selected and arranged: the embroidered peasant top and bell-bottom jeans, the pose (the artist ignores the camera in order to light a cigarette), the trio of art books piled haphazardly on the floor (with a thick monograph devoted to Lord Leighton on top! ), the peacock feathers, the crudely matted artwork displayed on an artist’s easel, the plant and bottles on the elaborate pedestal, the background, all of it. BTW, just in case some readers missed it… the implied point of my October 2nd comment was that, while BWS’s outfit may have been 4-5 years out of fashion, his overall idea of art and the artist was at least 100 years out of fashion. And I don’t think, at the time, BWS would have been offended by that characterization; on the contrary, I think he’d have been proud of it.